Contact MCE Insurance on their customer service phone number 01933 351 361 for general enquiries about their vehicle cover and to renew your existing motor policy. Existing policyholders should also get in touch with MCE on this helpline to update their account details if they move home or change their current vehicle. If you have lost any of your important insurance documents you can call advisors on this helpline to get a replacement certificate sent to you. Finally please call this helpline if you are interested in applying for a job with MCE Insurance at their Rushden office. Lines are open 8:30am-9pm Monday-Friday, 9am-5pm Saturday and 10am-4pm Sunday however as the insurance firm’s customer service staff are based in the UK there may be closures on bank holidays. Calls to their customer service phone number 01933 351 361 are charged at standard local rates which means you will be able to contact MCE for free if you have free inclusive minutes from your landline or mobile provider. Contact the claims department at MCE Insurance on their emergency phone number 01933 351 528 following a an accident involving your motorcycle, car or van. Their helpful team of customer service advisors will then guide you through the remainder of the claims process and inform you what evidence you require, such as the other party’s insurance details. You should also call this helpline to track the progress of an existing claim and to find out how much compensation you are eligible for. Please be aware that making a claim may affect your previous no claims discount, particularly if you were at fault in causing the collision. 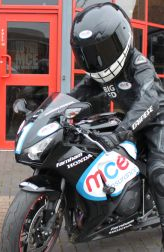 Get a quote for your motorbike insurance policy by contacting MCE Insurance on their UK phone number 0844 338 6888, where you can also add cover for your leathers and helmet. Similarly if you are an existing policyholder you can call this hotline to add European travel cover if your motorcycle club is going on a tour and breakdown cover for when breakdowns occur. Please note that this helpline is charged at 7p per minute plus your provider’s access charge, this may be significantly higher for mobile customers so consider calling from a landline handset. Phone MCE Insurance on their national contact number 0844 338 6860 for general enquiries about their policies designed for drivers with previous motoring convictions, including drink-driving and offences relating to licence violations. Although premiums for these policies are likely to be higher than standard insurance MCE recognise that everyone deserves a second chance once they have paid their dues through the legal system. Contact MCE Insurance by dialling their telephone number 0844 338 6858 for more information about their courier insurance policies and specialist cover for fast food delivery drivers. Here you can get a quote which protects your vehicle as well as valuable possessions you regularly transport, furthermore if you own a fast-food restaurant you can insure all your motorbikes under a single insurance policy. Calls will cost you 7p per minute service charge plus your provider’s access charge. Phoning MCE on their van insurance helpline number 0844 338 6898 will put you in contact with a customer service advisor who will recommend a price quote for your policy tailored to your company’s requirements. For instance if you only use your van on certain days of the week they may be able to reduce your monthly premiums based on your usage, similarly if you only transport light goods you may be eligible for lower premiums. There are several ways to contact MCE Inusrance customer services without calling their telephone helplines as they offer a postal address and email forms for you to fill out at your convenience. They also have numerous light-hearted social media profiles which advertise their policies and serve as a further method to contact their customer care advisors. 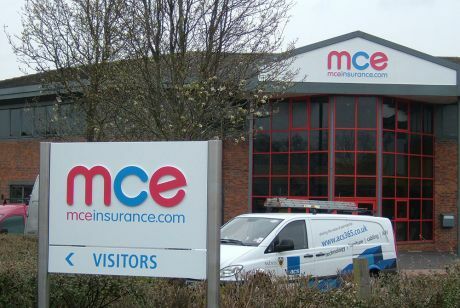 Letters to MCE Insurance should be addressed to their customer service office located in Rushden, please note that they do not accept cheque payments and they may take up to a week to respond so you should call them if you have emergency enquiries. Customers can email MCE by filling out their online contact form available on their website. You can also use this service to get a quote for your motor vehicle via the internet and to have a live web chat with their customer care team. MCE have several profiles on social media as a way to promote their brand across the UK and to advertise their vehicle insurance polices. You can also use these profiles as a way of messaging their customer service staff to voice your concerns about your policy, however do not include any sensitive details about your account in public.